During April 2017, PSAI China participated in the Diving & Resort Travel Expo Shanghai. Additionally, PSAI China Licensee Gallup Lee and Instructor Trainer Han Ting cooperated to hold three successful seminars, educating the general public on diving safety and sharing stories on an exceptional free-diving filming project and some extraordinary cave diving exploration in Du An, China. Several videos shown during the talks and in our booths have truly captivated and mesmerized the crowd. 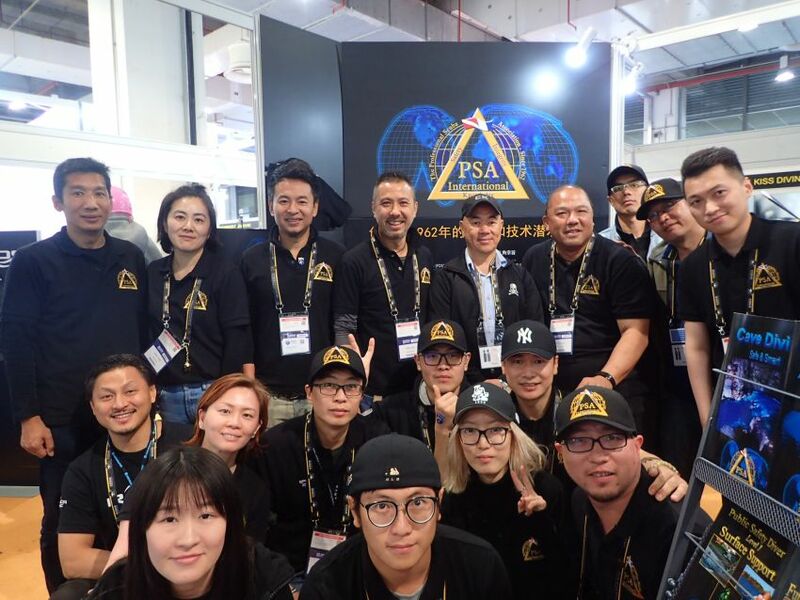 From one generation passing onto the next generation, PSAI China has constantly been evolving, into a bigger and stronger team ever. People are always considered the core asset of our organization. There are many differences in each member’s characteristics, personality, cultural background and even skin colors. Inevitably, everyone is unique in his or her own way, nonetheless our unity makes us become one big family. We hunger for knowledge development, we strictly comply with safe diving activities and we uphold the highest integrity standard. Safety, knowledge and integrity are the guiding principles of PSAI, in which this professional image is widely recognized by the diving community in China. Here is a video and some photos taken during the show. Copyright 2016 PSAI. All rights reserved.